Medical expenses include fees paid to doctors, dentists, surgeons, chiropractors, psychiatrists, psychologists, and Christian Science practitioners. You may deduct the cost of participating in a weight-loss program for a specific disease or diseases, including obesity, diagnosed by a physician. You may deduct transportation costs primarily for and essential to medical care that qualify as medical expenses. The actual fare for a taxi, bus, train, or ambulance can be deducted. If you use your car for medical transportation, you can deduct actual out–of–pocket expenses such as gas and oil, or you can deduct the standard mileage rate for medical expenses. With either method you may include tolls and parking fees. 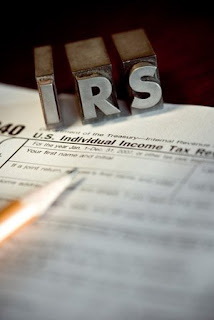 If you are self–employed and have a net profit for the year, or if you are a partner in a partnership or a shareholder in an S corporation, you may be able to deduct, as an adjustment to income, 100% of the amount you pay for medical insurance for yourself and your spouse and dependents. You may deduct only the amount by which your total medical care expenses for the year exceed 7.5% of your adjusted gross income. For example, it you made 50G last year, you can only deduct any amount over $3750. Sadly I fall into that category. I don't have insurance, got braces, a few cavities plus the usual annual checkups.